1. Why choose a space-saving bed? 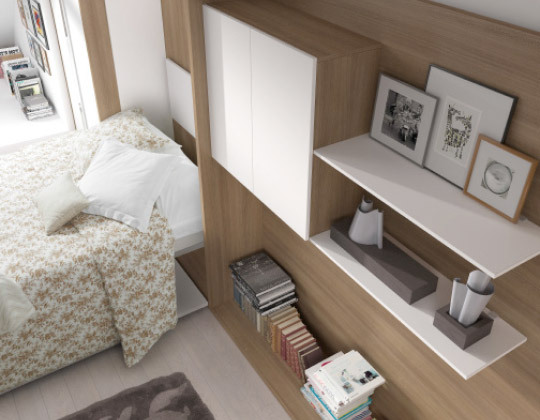 Space-saving beds let you use the space for other purposes as soon as you close your bed. 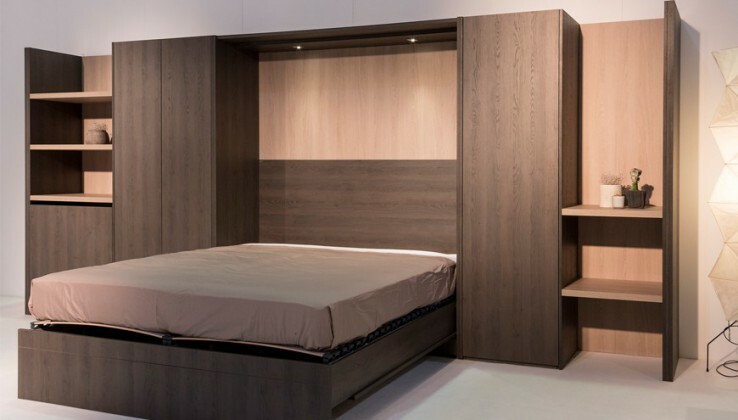 Boone has more than 30 years of experience in designing and producing wallbeds. 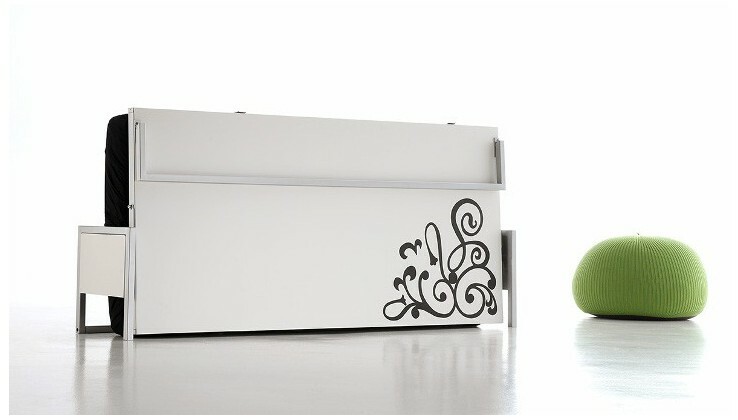 Boone has the widest range of space-saving solutions in every style and within everyone’s budget. You can find authorised Boone dealers in many countries and they will be happy to help you find your ‘ideal space-saving bed’. Boone beds provide optimum comfort for a great night’s sleep. Many of our space-saving beds will hold standard mattresses up to 22 cm in thickness. You can also leave your bedding on your Boone bed when you close it. Therefore, you do not have to make your bed when you open it. Boone attaches high importance to the quality of its products and the satisfaction of its customers. 3. How many years of warranty do I have on a Boone wallbed? Boone provides a 5 year warranty on its wallbed lift mechanisms. 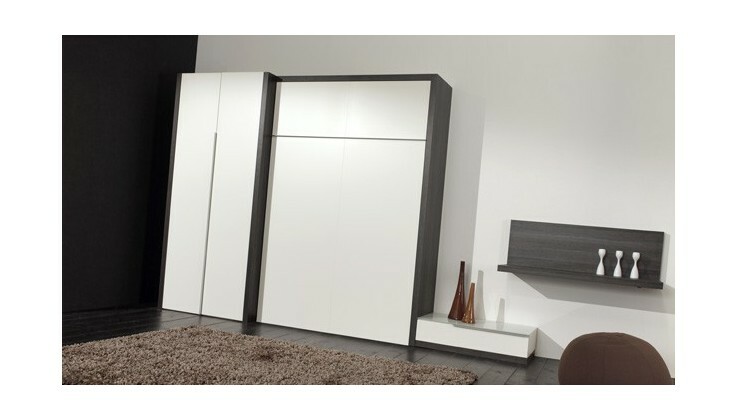 The furniture itself has a 2 year warranty to cover any manufacturing defects. 4. Are there any electric wallbeds? We are currently developing electric wallbeds. You will be able to open and close your bed at the touch of a button. We would like to point out that many of our beds are equipped with ‘adjustable mechanical springs.’ This control allows you to adjust how light or heavy you want the mechanical lift system to be so that you can open and close your bed with very little effort. 5. Is it possible to only buy the wallbed system and to install it in my own cabinet? For safety reasons, we do not sell our systems separately since each product has been measured and adjusted based on the balance of weight in the front, the slatted bed base and mattresses, etc. that will affect proper system functioning. Nevertheless, the Cubed is often used for installing one of our beds IN a different cabinet. This is a wallbed that we will install IN a cabinet made by you. 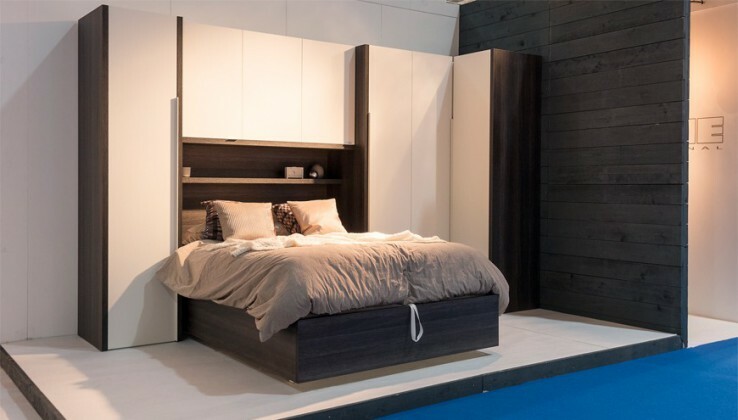 Another option is that you can buy a full bed cabinet from our line-up and replace certain panels. The replacement panels must be of the same weight, measurements and strength. 6. Does Boone also make sofa beds? Boone does not produce sofa beds at this time. They do not fit with our philosophy. 1) Our beds have to be proper beds. You can place standard mattresses up to 22 cm in thickness on a Boone bed in many cases. Boone also has a number of ergonomic slatted bed base options that provide optimum comfort for a great night’s sleep. A sofa bed limits your mattress choices that often cannot exceed 14 cm in thickness. Therefore in our opinion, a sofa bed does not provide the very best in sleeping comfort. 2) Your bed is already made when you open the bed. 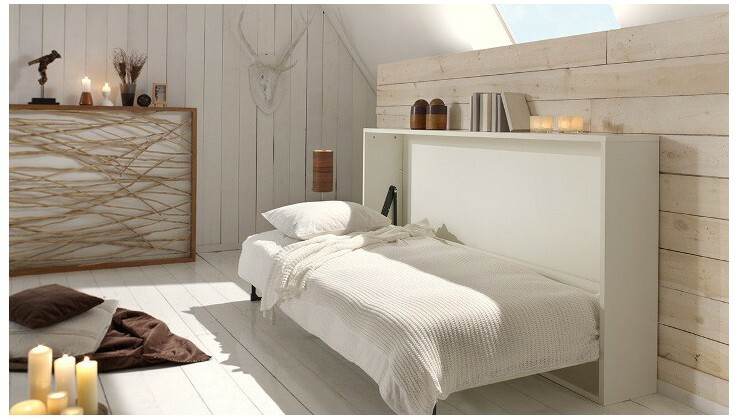 With a Boone bed you can close your bed without having to remove the bedding. Therefore, you no longer have to make your bed when you open it. A sofa bed does not give you the option to leave your bedding on the bed when you fold it away. Therefore, you have to make your bed again each time. 7. How do I find an authorised Boone dealer in my area? Click here to find a Boone dealer near you. 8. My wallbed is becoming more difficult to open and close over time; can I adjust it? You must have a 2nd person help you. Take a size 24 square box spanner. Turn the bolt on the spring mechanism clockwise 1 full turn. Then, go to the other side of the bed and turn the bolt on the other spring mechanism 1 full turn. Keep repeating these steps until it is comfortable to open and close the bed once again. If it is too tight on one side, simply continue turning the pump on the other side. Tip 1: You should tighten both spring mechanisms (on both sides of your bed) equally. Tip 2: We recommend that you contact an authorised Boone bed dealer for tightening your Boone bed. They can ensure that the process of tightening your bed is done correctly so that you do not break the spring mechanism. Your only option in this case is to replace it, or if you still have space, to install an additional gas spring or mechanical spring. 9. What types of spring mechanisms are there? 10. What is an adjustable, mechanical spring mechanism? Adjustable mechanical spring mechanisms can be adjusted perfectly to fit the weight of the mattress you place on your wallbed. 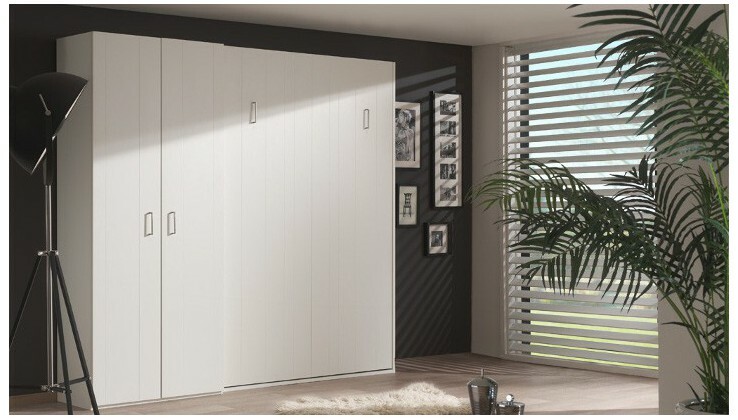 Therefore, you can adjust the tension you need to easily open and close the bed under all circumstances. How do I adjust my adjustable mechanical springs? 11. What is a non-adjustable, mechanical spring mechanism? This is a spring mechanism that consists of mechanical springs that cannot be adjusted. Therefore, you cannot give adjust the tension to the mechanical spring if it is too heavy or too light for you. 12. What is a gas spring mechanism? Gas spring mechanisms exist in all sizes and strengths. The advantage of these systems is that they are less expensive than adjustable mechanical spring mechanisms. The disadvantage of a gas spring mechanism is that you cannot adjust it perfectly to fit the weight of your mattress. 13. What are mattress straps and are they supplied with the system? Mattress straps are supplied with every Boone bed. You must clip it over your mattress and bedding before closing the bed. These straps fasten your mattress and bedding securely to your bed so that you do not have to make your bed again when you open it! 14. I don’t like the handles of a certain product, can I install my own handles? 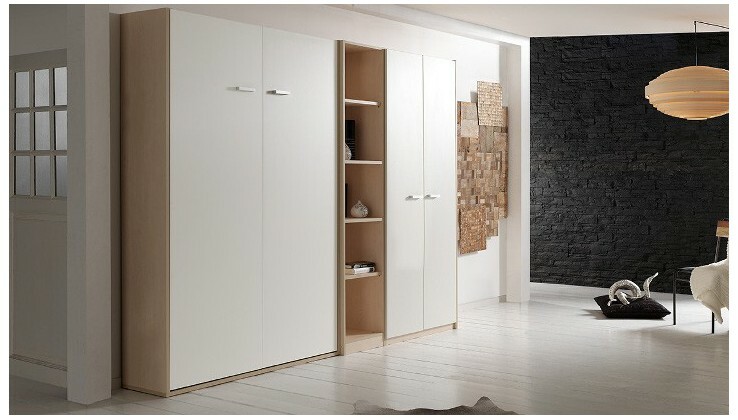 You can tell your dealer that you would like to buy your wallbed or cabinets without handles. Boone will then see to it that your bed and the cabinets are delivered without the pre-drilled holes for the handles. Now, you will be able to install the handles of your choice. 15. What is the depth of a wallbed in the open position? The depth of a wallbed in the open position refers to the distance measured between the wall and the end of the bed when the bed is open. This distance differs from bed to bed. Therefore when buying a bed, it is important to first measure the space where you will install your wallbed before you finalise your purchase. 16. How thick can the mattress be for my wallbed? The maximum thickness depends on the wallbed model that you choose. It varies between 11 cm to 22 cm. You can find this information on this site as well as in our technical catalogue. 17. What are the different space-saving systems? There are different types of space-saving systems. Each one has its individual features and measurements. 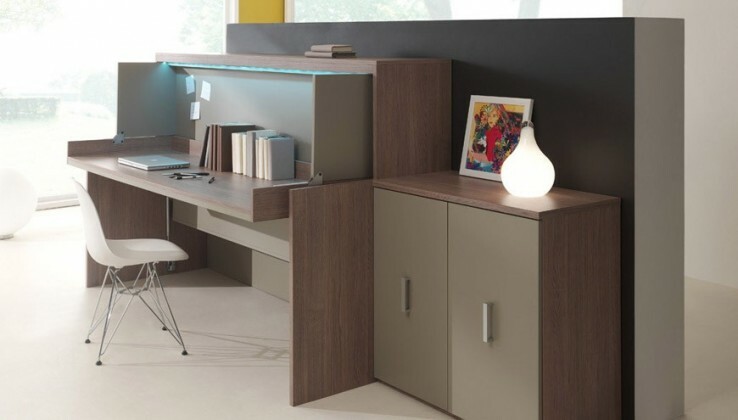 The same space-saving systems can be used for different design styles / collections. 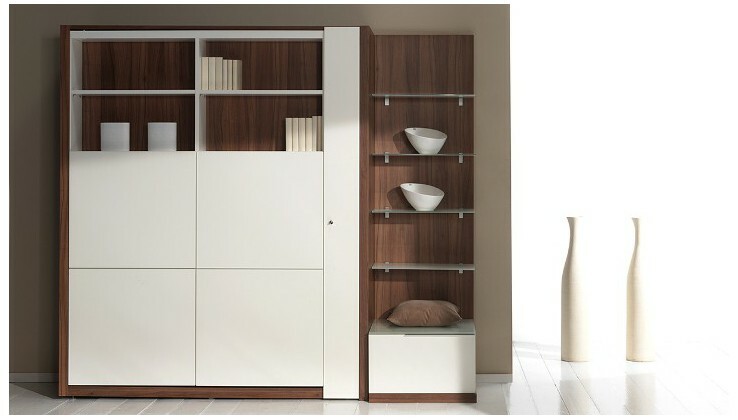 For instance, you will see the Conventa space-saving system in the Base, Nice, Tokyo and Smart collections. Here is an overview of Boone’s space-saving systems. 18. Can a Boone wallbed be used every day or is it only intended for occasional use? A Boone wallbed is perfect for daily use. When designing our products, we put a lot of thought into providing the best possible comfort for a great night’s sleep. 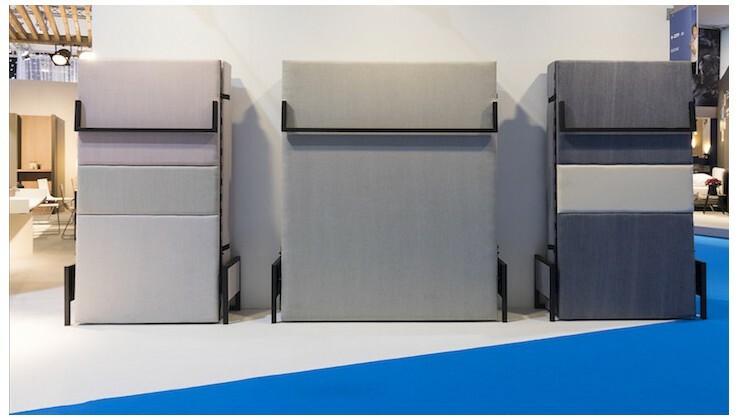 Many of our models are equipped with comfortable bases, such as an ergonomic slatted bed base or an Auping mesh base. Besides those, there are new models being introduced all the time that fit mattresses up to 22 cm thick. 19. Can I use my own mattress on a Boone wallbed? Standard mattresses will fit on most of our beds. That means that you can use mattresses with standard measurements of 90x200cm, 140x200cm, 160x200cm and 180x200. The only thing you have to take into account is the maximum mattress thickness that will fit your wallbed. 20. Can I use 2 separate mattresses with my wallbed? Yes, you can place 2 different types of mattresses on a Boone wallbed without any problem. For example, you can place 2 mattresses that measure 80x200cm each on a 160x200cm bed. You just have to make sure that you properly tighten the mattress straps that come with the bed before you close the bed. 21. Can I put my own bed or boxspring in a Boone bridge room? Yes, you can put your own bed in a Boone superstructure / bridge room without any problem. You just have to make sure that the width of your bed fits inside the bridge. 22. Are there any wallbeds that can fit mattresses longer than 200 cm? 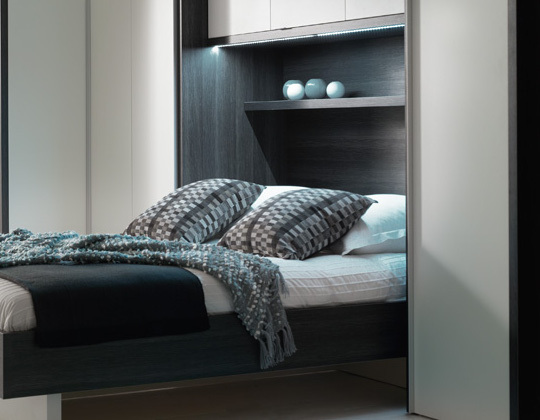 There are currently no wallbeds that will fit mattresses that are more than 200 cm in length. However, our Conventa and Conventa Extra Comfort space-saving systems have a bending machine at the head end of the mattress that can also be mounted at the same height as your mattress. You can then place a pillow on it to add an additional 20 to 30 cm in length to your mattress. 23. What types of bases are available at Boone? 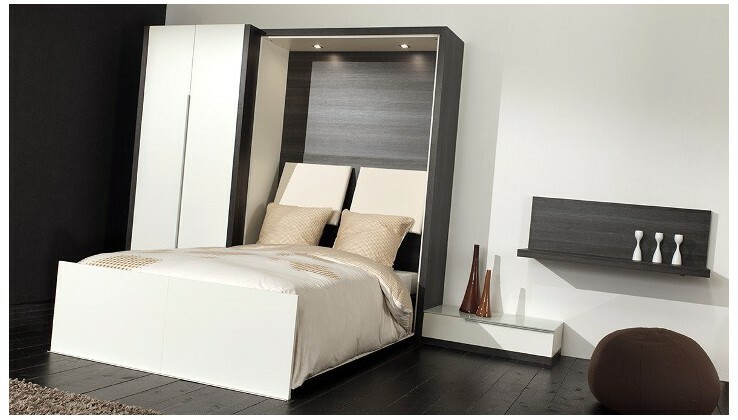 You will have the choice between 2 different bed bases in exceptional cases. This is the case for our Conventa and Conventa Extra Comfort beds, where you can choose between an ergonomic slatted base or an Auping mesh base. 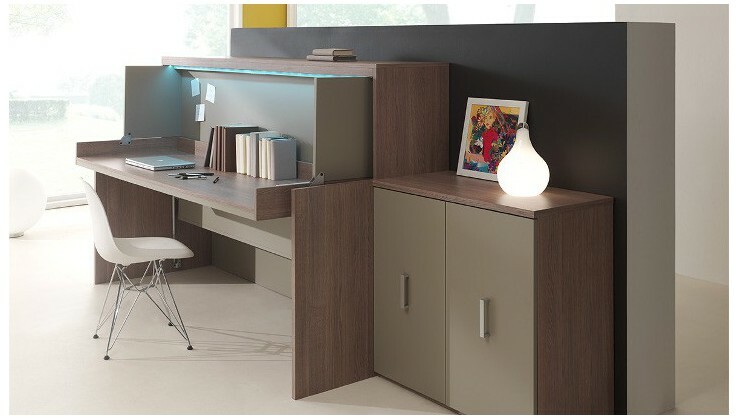 Find your ideal space-saving solution with our configurator. 24. What is a standard slatted base for wallbeds? This is a slatted base whereby the slats cannot move. This is the basic bed base model available in Boone wallbeds. 25. What is an ergonomic slatted bed base ? An ergonomic slatted bed base is a bed base whereby the slats can also move. 26. What is an Auping mesh base? The well-known Auping mesh bases are also available in a number of our models. They provide excellent ventilation and pressure distribution. 27. What is a raised slatted base or mesh base? This means that the slatted base or mesh base will be 15 cm higher than the standard height. Once you put a mattress on top, this will provide a more comfortable height for seniors or others who prefer a higher bed. This option will have no effect on the maximum thickness of your mattress! 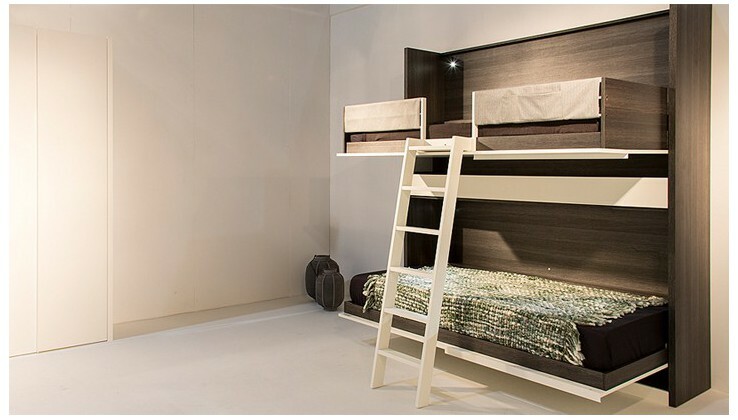 Generally speaking, the height of the bed base is 34.9cm. The raised slatted base or mesh base will raise it to a height of 49.9 cm. 28. Can I install or move my wallbed by myself? For safety reasons, a Boone wallbed must always be installed or moved by an authorised dealer or specialist. This is because our beds have powerful spring mechanisms. Therefore, expertise in anchoring the bed to the wall and in assembling the wallbed itself is also required. 29. Do I need to have a strong wall to install a wallbed? Practically all our wallbeds must be anchored to a wall. Given the power of our spring mechanisms, we require a strong wall. What is a strong wall? Please note: we assume that the specified materials that make up your wall are still in good shape. What does not constitute a strong wall? If you cannot or prefer not to anchor your bed to the wall, you can buy one of the following models that do not require wall anchoring. 30. What is a strong wall? 31. Can I anchor a wallbed to a wall that contains insulation on the inside? Yes, as long as there is a strong wall behind this wall insulation. Obviously, you will have to use longer screws to bridge the extra distance between the wall insulation and the strong wall.